In 2007, Amazon launched Amazon Prime—offering an unlimited one-day delivery membership programme for about a million products. Our vision was that fast delivery should be an everyday experience—rather than an occasional indulgence, and many sceptics thought we were crazy. 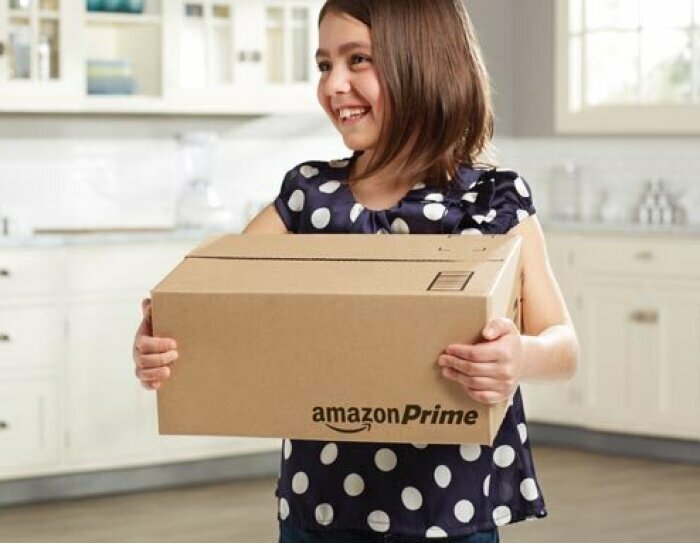 With Prime, we introduced three things: first—we sped things up offering one-day delivery at a time when most customers expected to pay for a slower service that would take a few business days; second—we made one-day delivery predictable and guaranteed; third—we made it unlimited with a single annual membership. In its first year, we gave up many millions of pounds in shipping revenue, and there was no simple maths to show that it would be worth it. I'm in a monogamous relationship with Amazon Prime. Our decision to go ahead was built on the positive results we'd seen when we introduced Free Super Saver Delivery, and an intuition that customers would quickly grasp that they were being offered the best deal in the history of shopping. In addition, analysis told us that, if we achieved scale, we would be able to significantly lower the cost of fast delivery. In fact, tens of thousands of people joined Prime in that first month; and today, four out of five of them are still members with their original accounts. Amazon Prime has continued to be a hit with members. Members love Amazon Prime—it is one of the world's most popular subscription services with now over exceeded 100 million paid Prime members globally. In 2017 Amazon shipped more than five billion items with Prime worldwide, and more new members joined Prime than in any previous year – both worldwide and in the U.S. Members in the U.S. now receive unlimited free two-day shipping on more than 100 million different items. We expanded Prime to Mexico, Singapore, Netherlands, and Luxembourg, and we introduced Business Prime Shipping in the U.S. and Germany. We keep making Prime shipping faster as well, with Prime Free Same-Day and Prime Free One-Day delivery now in more than 8,000 cities and towns. Prime Now is available in more than 50 cities worldwide across nine countries. Prime Day 2017 was our biggest global shopping event ever (until surpassed by Cyber Monday), with more new Prime members joining Prime than any other day in our history. Prime isn't done improving on its original fast, free shipping promise either. Members in hundreds of cities also receive unlimited Free Same-Day Delivery on more than a million items. In addition, Prime members in cities across the UK receive one and two hour delivery on a selection of tens of thousands of everyday essentials with the dedicated Prime Now mobile app. Lots of early reviews read like this one, "In the past six weeks my husband and I have made an embarrassing number of orders through Amazon Prime Now. It's cheap, easy, and insanely fast." We've launched in cities across the country and more cities are coming soon.